The European Defence Agency is part of several decades of steadily more formal defence cooperation in Europe. 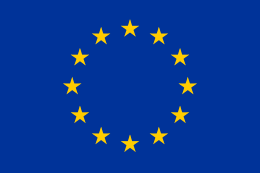 Its work is a continuation of the work of the Western European Armaments Organization (WEAO) and the Western European Armaments Group (WEAG) – it effectively represents the transference of their functions from the WEU to the EU framework, and thus continues the decommissioning of the WEU. It may also be seen as growing out of the Eurofighter Typhoon project, and other collaborative defence efforts. Dr. Javier Solana was the inaugural head of the EDA, a position which he maintained from 2004 to 2009. He was succeeded by HRUFASP Baroness Catherine Ashton, who was succeeded by Federica Mogherini. The inaugural civilian Chief Executive Officer was chosen as Nick Witney, a position he maintained from 2004 to 2007. Herr Alexander Weis succeeded him, from 2007 to 2010. The post of chief executive was vacant from October 2010 to January 2011, when HRUFASP Catherine Ashton appointed Claude-France Arnould in succession to Alexander Weis. It was reported that this nomination had been blocked by the Italian government of Enrico Letta which wished to see its own candidate take up the post. Arnould left office in February 2015 and was replaced by Spanish diplomat Jorge Domecq. Initially and up until 31 December 2013 the agency was organised into five directorates. On 20 November 2013 a new streamlined organisational structure, listed below, was announced which came into force on 1 January 2014. At a European Council meeting on 19 December 2013, a European Air Force (EAF) consisting of surveillance drones, heavy transport airplanes, and air-to-air refuelling planes was debated. This EAF was proposed by the External Action Service of HRUFASC Catherine Ashton, and was seconded by President of the European Parliament Martin Schulz. The EAF proposal was supported by Hollande, Rajoy, Letta, Tusk and Merkel who together have QMV majority on the Council. The debate was joined with a view presented by NATO Secretary General Anders Fogh Rasmussen, who maintained that "Nato will remain the bedrock of Euro-Atlantic security". Rasmussen's view prevailed on the Council at this time because QMV did not take effect in Council decisions until 1 November 2014. The Capability Development Plan (CDP) provides to Member States an auditable picture and assessment of capability trends and requirements, over the short, medium and long term, in order to inform national decisions on defence investments; this includes the identification of areas for cooperation for capability improvement, and the proposal concerning options for collective solutions. The CDP is the overall strategic tool, the ‘driver’ for R&T investment, for armaments cooperation and for the defence industries. The European Defence Research & Technology (EDRT) strategy aims at enhancing more effective R&T in support of military capabilities. The EDRT strategy defines the ‘Ends’ (in which key technologies to invest), the ‘Means’ (how to do this) and the ‘Ways’ to implement the ends and means through roadmaps and action plans. The European Armaments Cooperation (EAC) strategy is focussed on promoting and enhancing more effective European armaments co-operation in support of CSDP capability needs. The EAC strategy defines how to improve the effectiveness and efficiency of European armaments programmes by a series of actions, applying lessons learned from past experiences through a ‘Guide to Armaments Co-operation Best Practice’. The European Defence Technological and Industrial Base (EDTIB) strategy describes the future European defence industrial landscape, based on the three Cs: Capability-driven, Competent and Competitive. The future EDTIB has to be more integrated, less duplicative and more interdependent, with increased specialisation, for example by establishing industrial centres of excellence. It refers to action fields for which Governments will be responsible, such as consolidating demand and investment. Logically, the strategy links the work on realising the future EDTIB to the Agency’s activities on the European Defence Equipment Market. Special attention is paid to the importance of Small- and Medium-sized Enterprises with their typical flexibility and capacity to innovate. Helicopter training Several major multinational helicopter exercises held. Simulator training program. From 2008 to 2014, 174 helicopters, 329 crews and over 12.000 personnel participated. Air transport training As of May 2015, 64 European aircrews and 42 aircraft took part live-flying exercises organised as part of the European Air Transport Fleet (EATF) partnership. Go Green Test case on using solar power to reduce military energy needs. Field Hospital Building multinational modular field hospital. Counter-IED Counter-IED Forensic Laboratory deployed to Afghanistan in July 2011. Training ongoing. Communication and Information Systems Communication architecture training to improve interoperability. Maritime Surveillance Networking project to share maritime monitoring information. Third Party Logistics Web-portal, expert network and other tools to help Ministries of Defence identify commercial solutions to logistical tasks. Employed for EU Operation ATALANTA. EU Satcom Market Pooled procurement cell to buy satellite communication services at lower rates. Cyber defence Studying current cyber defence capabilities in Europe to identify gaps. Radio spectrum Cooperating with European Commission on radio spectrum and harmonising military input. Space Situational Awareness Harmonizing military input into joint civil-military efforts. CapTech Network of experts from across the continent on research into key capability technologies. Recently developed Strategic Research Agendas for each. Joint Investment Program-CBRN Cooperating with civil authorities to prepare for CBRN events, with an especial focus on biological threats. Joint Investment Program-Force Protection 18 concurrent research projects to protect soldiers and vehicles, especially focused on ballistic protection. Joint Investment Program-Innovative Concepts and Emerging Technologies Forward-looking research projects, such as in metamaterials, nanomaterials and helicopter fuselage crack monitoring. Unmanned Maritime Systems Ensuring harmonisation on unmanned maritime systems that tackle mines and carry out other tasks. Military Green Building consensus on approaches to environmental sustainability in military operations. Maritime Mine Counter Measures Understanding and identifying gaps in European capabilities for countering maritime mines. Biological Equipment Developing and demonstrating equipment to detect, identify and monitor biological agents. Future Unmanned Aerial Systems Understanding industry views and building consensus for future courses on European UAS projects. Software Defined Radio Coordinating with civilian bodies to develop European software-defined radio technology. Space Based Earth Observation Working with European Space Agency on earth observation ground segments, and supporting multinational space-based imagery system. Remotely Piloted Aircraft Systems Supporting development of a European Medium-Altitude Long Endurance RPAS through research, certification and airworthiness projects. Airworthiness Harmonising national military airworthiness regulations through MAWA forum. Single European Sky Harmonising military implementation of and input into the civil-military Single European Sky project. European Defence Equipment Market in the Global Context Identifying and reducing barriers to trade for European defence firms. Code of Conduct on Defence Procurement and Electronic Bulletin Board Encouraging cross-border competitiveness in defence procurement through standard procurement practices and public announcements. Effective Procurement Methods Consolidating European procurement demand to deliver increased efficiencies and economies of scale. Security of Supply Electronic portal to help key stakeholders stay informed about security of supply issues. Key Industrial Capabilities Understanding and prioritising key industrial capabilities based on stakeholder consensus. Small and Medium-Sized Enterprises Improving access to defence contracts for SMEs, by ensuring timely payment, improving information flow and building guidelines for equitable treatment of all firms. Article 346 Building understanding of EU competitiveness requirements and the status of defence exemptions. The Agency is monitored and managed in three ways. Chief executive: Head of staff and responsible for supervision and co-ordination of units. Currently Jorge Domecq. The Cooperation Planning & Support directorate focuses on the early identification of requirements at European level and the through-life aspect of capabilities. It is responsible for capability planning through the Capability Development Plan and the Cooperative Programme Database; and Pooling & Sharing including the Code of Conduct. It deals with Defence & Industry analysis to complement the identification and development of capability demands. The directorate is also responsible for key enablers to support defence cooperation and enhance interoperability: military airworthiness, standardisation and certification, and education and training. In addition, it will support CSDP operations and EU Battlegroups at the request of Member States. The Capability, Armaments & Technology directorate is responsible for preparing future programmes by maximising synergies between capabilities, armaments and Research & Technology. The directorate brings together the Agency’s work in the areas of: Information Superiority (Communication & Information Systems, Surveillance & Reconnaissance, Space, Cyber Defence); Air (Remotely Piloted Aircraft Systems, Air-to-Air Refuelling, airlift and aerial systems technologies); Land (Counter-IED, armoured systems, camp protection and land systems technologies); Maritime (Maritime Surveillance, Mine Counter Measures and naval systems technologies); and the Joint domain (mobility, transport, medical and Ammunition). In particular identifying future Critical Defence Technologies needed to support military capabilities. This directorate is an interface between national defence ministries and wider EU policies that have implications for defence. Its main tasks is to promote and support innovation through innovative research in the areas such as: Components, Radio-Frequency & Optical Sensors, Materials and Structures, Energy, and CBRN protection. It is responsible for developing synergies and greater complementarity with EU programmes such as Horizon 2020 and European Structural Funds. The directorate is also the Agency’s focal point on Space Policy, on which it will have a close dialogue with the Commission and the European Space Agency. It is responsible for Market & Industry policy, including SMEs, Security of Supply, the REACH regulation, market efficiency and global aspects of the defence market. The directorate is also responsible for the military dimension of the Single European Sky, with a particular emphasis on the SESAR deployment phase, as well as the EDA’s activities in the areas of Green Energy. The agency is financed by its members in proportion to their Gross National Income. An effect of this is that some nations pay different contributions towards the budgets than others. For example, in 2007 the biggest budgetary contributor was Germany at a cost of €4,202,027 followed by the United Kingdom paying €3,542,487, and France paying €3,347,139. This budget covers the Agency's operating costs. Individual projects are funded separately. As of December 2014, EDA has a staff of 126. All EU member states take part in the agency, except Denmark, which has opted out of the CFSP. The Agency signed Administrative Arrangements with Norway (2006), Switzerland (2012), the Republic of Serbia (2013) and Ukraine (2015) enabling them to participate in EDA’s projects and programmes without exercising voting rights. All Administrative Arrangements are approved by the European Council. The Head of the Agency is responsible for negotiating these arrangements in accordance with directives given by the EDA Steering Board. "The Secretary of State for Defence has agreed that we will remain in the European Defence Agency for a period of two years, then we will review the status of our membership". Two years later, in October 2012, Lord Astor confirmed that this review was indeed under progress, and that "all options, including complete withdrawal, [were] being considered". On 12 February 2013, the UK Government announced that the UK would remain a member of the EDA, the Government having "concluded that the agency has achieved some progress against identified shortfalls. There is, however, further work to be done to improve its performance". The UK remains a member as of June 2016, and it is unclear whether the UK will leave the organisation, or remain a participant through an administrative arrangement, if it leaves the EU. ↑ "Catherine Ashton welcomes appointment of EDA Chief Executive". Brussels. 7 January 2011. ↑ Vogel, Toby (25 November 2010). "Budget casts shadow over launch of EEAS". European Voice. 1 2 "Organisation". About us. EDA. Retrieved 4 February 2013. 1 2 "EDA Launches Streamlined Structure Brussels". EDA. Retrieved 24 November 2013.